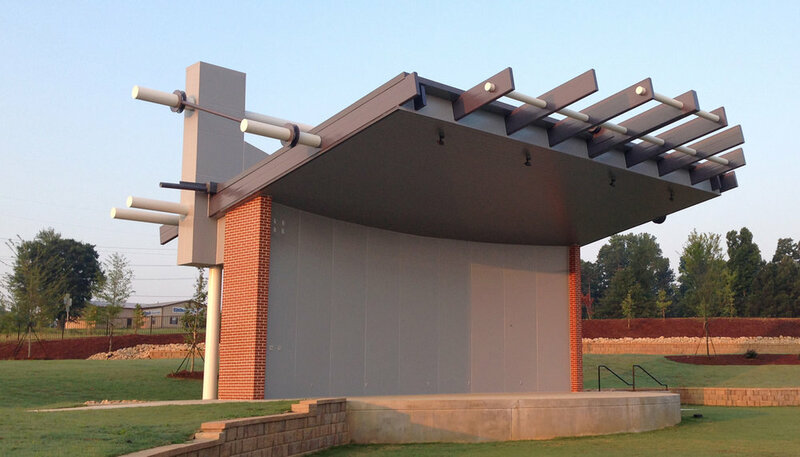 CROFT provided full architectural, structural, MEP engineering, and construction administration support for the development of a 3,000 person outdoor amphitheater and public park venue in Dallas, GA. 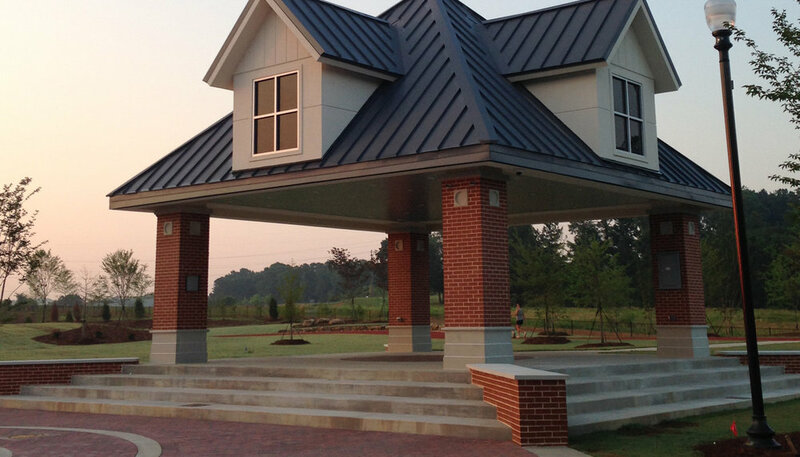 This outdoor concert and park facility creatively integrated unused space between the Paulding County government complex and US Highway 278 to provide a passive park facility with amenities to serve residents of all ages. By converting unused acreage around a large existing facility, the CROFT / Lowe design team developed a park concept that not only minimized the cost of maintenance but allowed the existing parking infrastructure around the government complex to become a 7‐day a week asset to serve the citizens of Paulding County. The facility was designed to support two simultaneous large outdoor events and to take advantage of the extensive road network that supports the government complex to support traffic flow in/out of the park. Dedicated to area veterans, the park is outfitted with patriotic‐themed signage as well as architectural elements reminiscent of historic Paulding County.